I can’t believe Christmas is just a few days away! Now is the time to enjoy your family, cook your favorite meals, cuddle up by the fireplace and even indulge in some sweet treats. I’ve put together a list of some of my absolute favorite desserts that you can make your loved ones this weekend. And don’t worry, these desserts won’t completely throw off your figure, they are still #healthywithnedi approved. These meringues are absolutely delicious. You can use any flavor meringues you like, they even make sugar free! I personally think the cappuccino flavor goes really well with the espresso in this cake. This is a raw cake that is best made with good quality, fresh eggs from the farmers market. Make sure that you take the eggs and mascarpone out of the fridge so they can sit out at room temperature for about an hour before you start cooking. This incredibly delicious crème brûlèe is lighter than the original version, as I replaced heavy cream with coconut milk. What’s great about this recipe is that it is extremely easy to make. The crackly golden torched top is just divine. 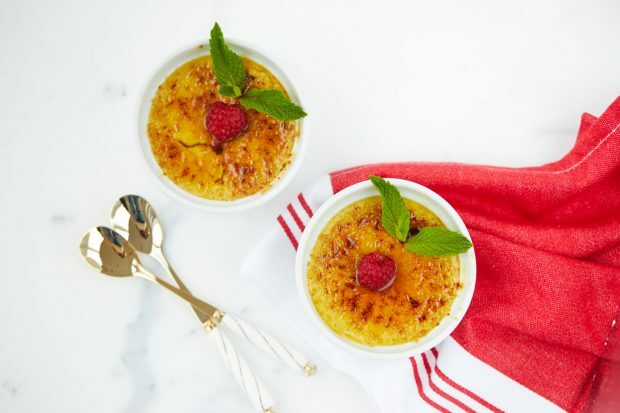 If you don’t own a kitchen torch, place the crème brûlée up to a broiler for a minute, until the sugar caramelizes. Dark chocolate is know for its antioxidants,which helps to support heart health. 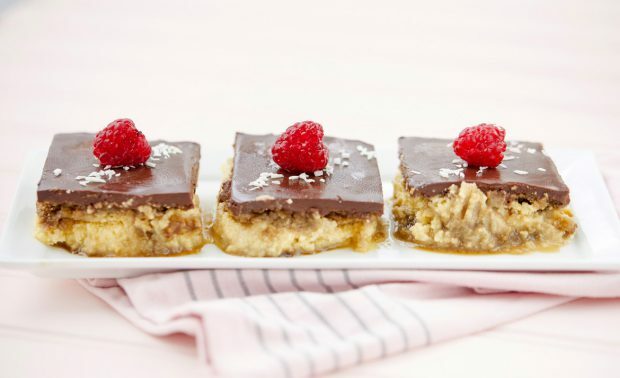 This is a healthy alternative to dessert, and it can be really fun to make with the kids. 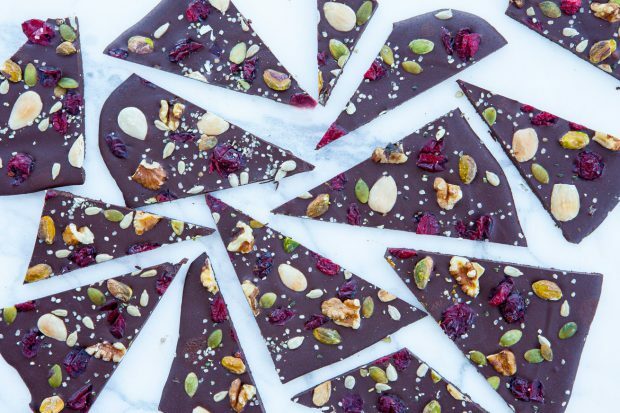 Once you spread the melted chocolate on a baking tray, let them be in charge of decorating the bark with their favorite toppings. This is a great dessert to make for the holidays. 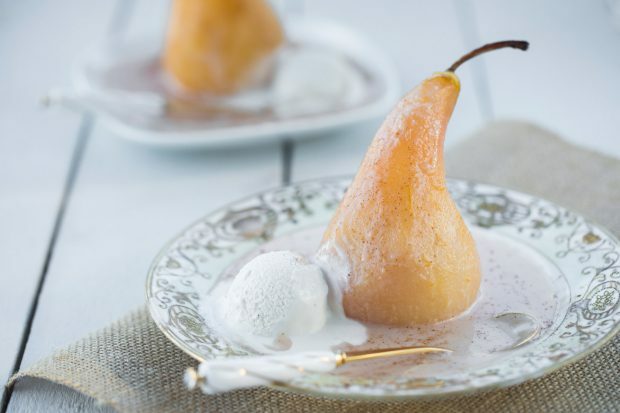 With their sweet flavor and firm texture, pears taste incredible when poached. These juicy gems are pretty healthy for you too. Pears are one of the highest fiber fruits, offering 6 grams per one. Being so high in fiber, eating pears may help decrease the risk of type 2 diabetes and heart disease.